Well, well, well, here we are again. 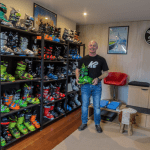 The Footy season is heating up and there’s a cool bite to the breeze in the mornings – Winter must be close! Cast your mind back to this time last year, and you’ll remember that last winter was dominated by a powerful El Nino that continued to grab headlines all summer long and also contributed to the record warm global temperatures recorded in January and February. However, time is on our side. Our arch nemesis is showing signs of weakness; its cruel rampage is coming to an end as it runs out of steam. Right now, we’re forecast to return to a neutral ENSO state over the coming months. 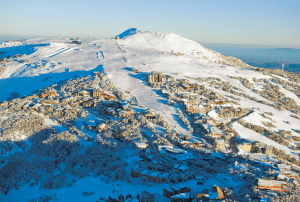 On the face of it, this seems like good news for the Aussie Alps right!? Not so fast, padre! Every good story has a twist, there are unforeseen enemies lurking beneath the surface that may be intent on ruining our quest for snow. The most important thing you need to know in relation to the upcoming season is the current El Nino is weakening. Forecast models are in good enough agreement and I can confidently say the warm water across the Eastern Pacific will gradually dissipate, leaving us in a neutral ENSO (El Nino Southern Oscillation) state by the time winter shows up. 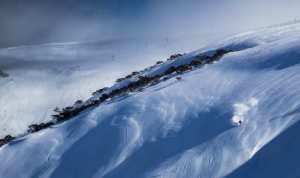 On the surface, this is good news for the Aussie Alps. By now you know I divide El Nino’s into two different pedigrees: wrong’uns and classic’s. A classic El Nino increases the chances of high-pressure systems parking their fat arse over South East Australia, effectively scuppering our chances for any decent snow. This is exactly what we saw during the first half of last winter before a few chance snow storms came to rescue the season in mid-July. NB: If all this talk of El Nino leaves you scratching your head, click here to get the lowdown. Now for a bit of good news: Over the last 44 years roughly 20cm more snow has been recorded in neutral years compared to either La Nina or El Nino years. 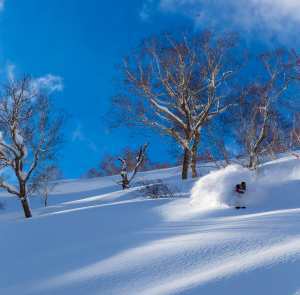 This corresponds to an average peak snow depth of 187cm against a median for all years of 176cm. If we look at neutral years in greater depth, we find that neutral almost always comes with a strong shot of flavour. There is a LOT of variation between individual snow totals during neutral years. From the bumper years of 1981 and 1992, that saw more than 300cm of snow to 1989 and 1993, which saw less than 150cm. In previous years, I’ve mentioned the Indian Dipole, an index representing the difference in sea surface temperatures between the Arabian Sea and the sea to the south of Indonesia. It’s thought that a negative index (warmer oceans in the Arabian Sea) could be favourable for producing greater rainfall in South Australia. This year the index is forecast to remain neutral to slightly negative. It’s unlikely to have a ‘significant’ influence. Another index that can give us a clue as to what this winter will bring is the Southern Annular Mode (SAM index) which measures the north/south movement of a belt of westerly winds whipping around Antarctica. The SAM index has been generally positive for some time now (with the band of juicy lows staying to the south) meaning that Southern Australia is generally drier than average. Although there is no long range forecast for the SAM index we can assume it will stay mostly positive in the upcoming winter due to persistence. Other long-range climate models suggest that pressure distribution will be more or less close to average for our part of the World over winter. Taking all this evidence into account it seems that the major climatic influences look to be about as neutral as Switzerland this year forcing me to turn my antennae to the ocean. I don’t know if any of you have been for a dip recently, but the Sea Surface Temperatures (SST’s) in the Tasman Sea are way above average. If you keep up to date with the seasonal forecasts on the BoM website, you will know that the warmer than average SST’s combined with a decaying El Nino are the two major factors thought to bring us a warmer and wetter than average autumn in the coming months. In winter, warmer than average SST’s can put a bit more juice into incoming fronts and showers but it also has a detrimental effect on snow pack. 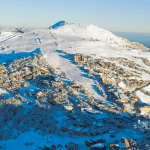 Snowfall events in the Aussie Alps are often on a knife edge – warmer SST’s can tip the scales against us raising temperatures and making r*** more likely than snow which has a knock on negative effect on the snowpack. Climate models predict that these positive SST anomalies will stick around in the Tasman but turn negative in The Bight which is similar to what we saw last year. The forecasting ability of SST models are questionable but it’d be reasonable to expect that the positive SST anomaly will maintain itself into the winter to some degree, likely having a negative effect on peak snow depth. This means that incoming storms will see a bit more mixing and a larger dose of rain mixed in with the snow. So enough of the technical mumbo jumbo how much snow are we going to get? 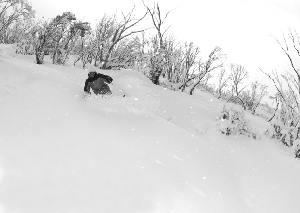 You guys should know I hate being specific in April, but gun to my head, I’m going to predict a peak snow depth at Spencer’s Creek of 170cm – slightly below the long-term average of 176cm. This total is lower than normal, mainly due to the anomalous SSTs. Unfortunately, I also expect a slow start thanks to warm temperatures being reinforced by the higher than average SSTs. This forecast still contains a lot of uncertainty and the season start date is still a couple of months away. As always, I will update this forecast next month so that we can check in with the SST’s and get a better idea of what the climate models are saying a few weeks before Opening Weekend. That’s all from The Grasshopper. We’ll update this outlook in early May. If you’ve got a different theory on what’s going to happen this winter, or just want to provide feedback, then please hit me up on the discussion below. Or you can follow me on Facebook|http://www.facebook.com/grasshoppermw].